Elizabeth Bee married Chris Brandon at Patutahi in 1880. She went with her husband who managed various properties that had been taken over by the bank. They went to Brooklands (Puketapu) to manage for her sister, Mrs Peacock, where her daughter Cathie was born. For six years Chris was in partnership with George Bee — they lived at Petane (H.B.). They took up the Petane block of 15,000 acres in 1903 when their daughter Cathie was 13 years old. 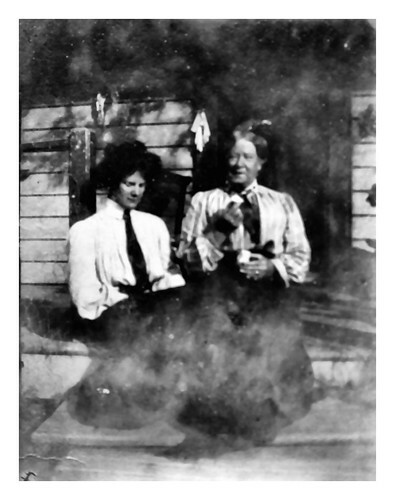 She had a governess and was joined some of the time by her cousin Daisy (Ross) Jago. This was the first attempt at European education in the district. They were hardy pioneers with 14 miles of bridle track into the station. Elizabeth was the matriarch of the area. She left Petane in 1916 and lived in Wairoa while her husband farmed Pihanui and then Pokanui. The Petane block was later divided into eight soldier settlement farms. Cathie (Brandon) Nolan was an expert horsewoman, well known all over Hawke's Bay. She married A.G. Nolan in 1913 and went to his grazing run Puhoro in the Ruakaturi Valley which is still owned by the family. There was eight miles of bridle track into the property at that time — another hardy pioneer. She came to Wairoa to live about 1918 where she interested herself in various local affairs — Red Cross (President), C.W.I. (President), Maori Women’s Welfare League (Adviser) etc.